Donald Oliver Pinnell, 74, of Alvon, passed away on Wednesday, April 5, 2000, at Greenbrier Valley Medical Center following a short illness. 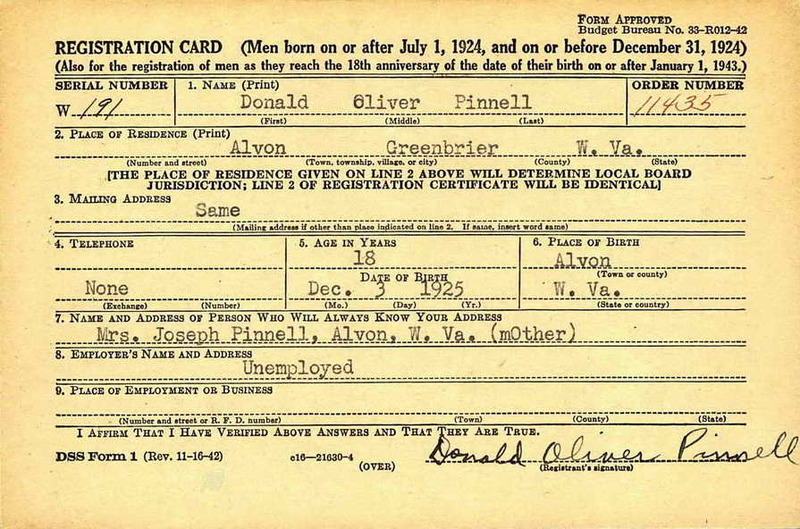 Born December 3, 1925 in Alvon, he was the son of the late Joseph and Lillie Copenhaven Pinnell. He was retired from the West Virginia Department of Highways and from the West Virginia Power Company. He was a member of the Alvon United Methodist Church and a veteran of World War II and the Korean Conflict. Survivors include his wife, Hazel E. Pinnell; son Donald O. Pinnell, Jr. and his wife Marie, of white Sulphur Springs; daughters, Susan Pinnell of Lewisburg, Debbie Belcher and her husband, Roger, of Christiansburg, VA; three grandchildren; and one step- grandchild. Services will be held Friday at 2 PM, at the Alvon United Methodist Church, White Sulphur Springs, with the Rev. Paul Suittle, the Rev. Buck Caldwell, and the Rev. Bobby McClintic officiating. Burial will follow at the Rosewood Cemetery, Lewisburg. The family will receive friends today from 7-9 PM at at the Alvon United Methodist Church. Arrangements are by Shanklin Funeral Home, White Sulphur Springs. 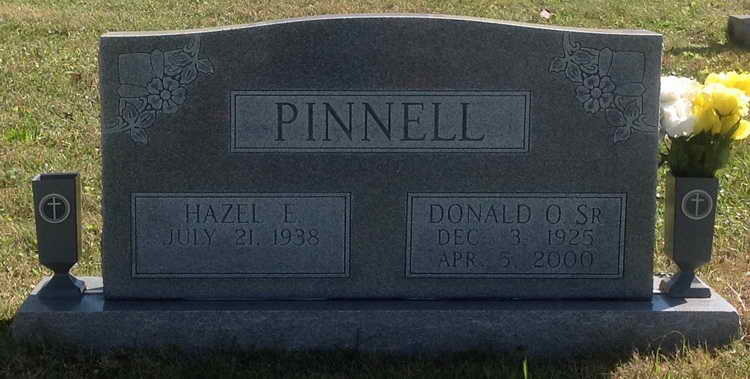 Grave marker for Donald O. Pinnell in Rosewood Cemetery, Lewisburg, (Greenbrier county), West Virginia. Donald registered for the draft ca. 1943 and entered service at Fort Thomas, Newport, KY on 27 February 1944. 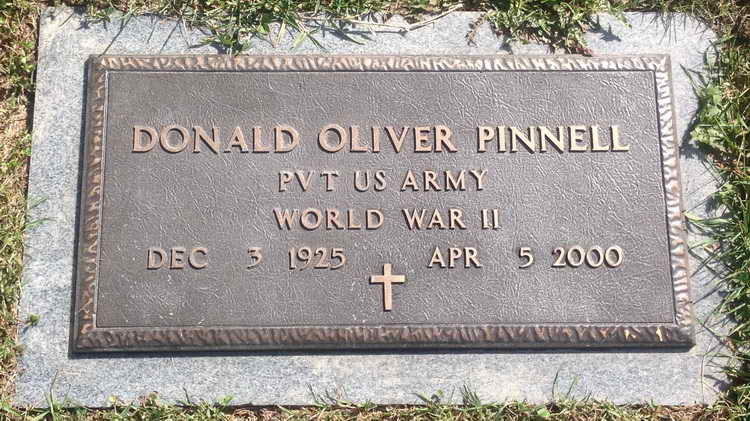 Pfc Pinnell was transferred from the 505th PIR to Hq 2nd, 508th PIR on 10 March 1945. He was recalled to active duty for the Korean conflict although the specific start and stop dates of that service period are not known. 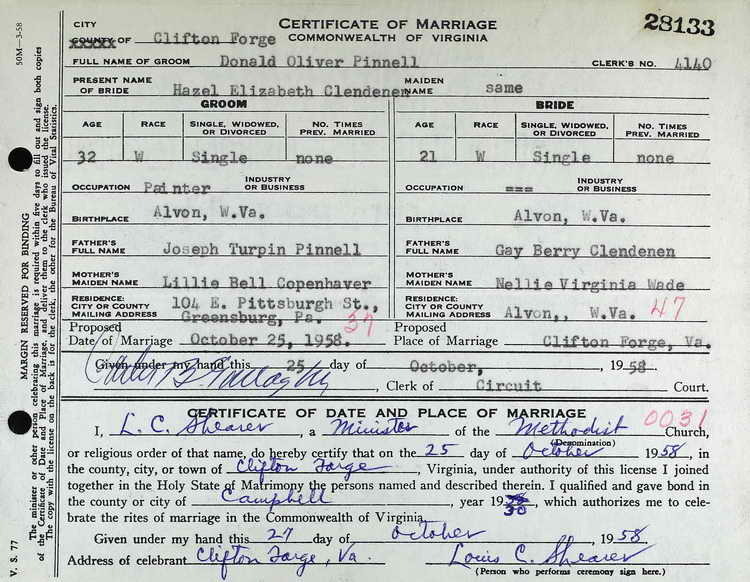 On 25 October 1958, Donald married Hazel Elizabeth Clendenen in Clifton Forge, VA. It is she who is listed in his obituary as his surviving wife.